We had the E3 2013 episode, and now we talk about Gamescom 2013. "Battlefield 4 goodness everywhere!" said RandomAlec. The Xbox One finally has an official release date of November 22, 2013. Lots and lots of content about Battlefield 4 was shown off this year at Gamescom. Infidel is still hung up on chicken biscuits, and he introduces a new Day Z/Minecraft game. Back after two months! In this episode, RandomAlec does his routine coverage of Battlefield 4 goodness, and plenty of Xbox One changes. Infidel tries to avoid the numbers and headaches and provides some words (and visuals) from our sponsors. Battlefield 4 is starting to look real amazing, and so is the Xbox One! Infidel has a spontaneous ask me anything, and returns some questions back to RandomAlec too. See you next time for Gamescom 2013 talk! Watch this video for an extremely easy and quick way to get the "Mazed and Confused" achievement using the Time Bomb! In this episode, RandomAlec and Infidel dive into all the goodness that was shown off at E3 2013. 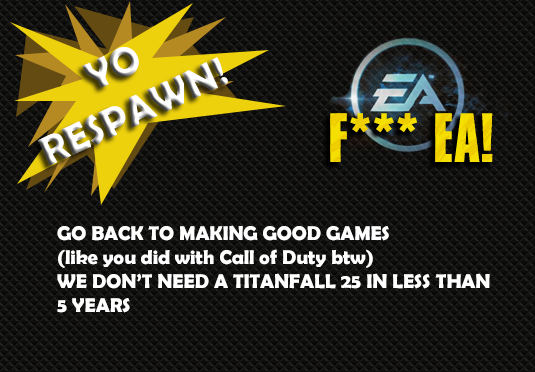 Forza Motorsport 5, Destiny, The Division, Battlefield 4, it goes on and on. Xbox One looks great! In other games and news, The Last of Us for PS3, Minecraft, and War Thunder are also discussed. Don't miss this episode to be -properly- informed about the Xbox One! This airplane has been very fun to fly in War Thunder. I don't know if it's just me, but I manage to have high survivability and a good amount of kills with it. E3 is right around the corner and All Random Gaming will have most of the juicy coverage. It all starts with the Battlefield 4 multiplayer gameplay reveal tomorrow and the Xbox E3 Media Briefing "Xbox: A new Generation of Games Revealed." Tune in tomorrow for the Xbox Media Briefing and anything else starting June 10, 2013 at about 12:30 PM EST. Discussion, live streams, and more! Infidel works real hard when it comes to running away from the enemy. No dogfight needed, greed kills them off. Crazy awesome! Want to know something awesome? 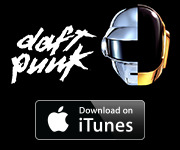 Check it out for yourself, just type in www.allrandom.net in your internet address bar and see where it takes you. That's right, All Random now has its own domain name! No more blogspot or long ridiculous URLs for anything. Even if you're linking to a post on the All Random website that is old, you can replace the entire blogspot address with a simple www.allrandom.net. 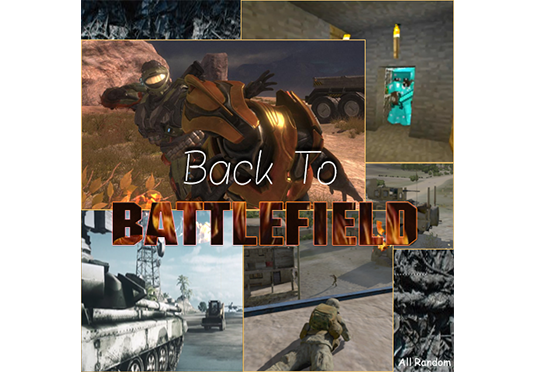 Always hard at work expanding the Back To Battlefield podcast, it is now available on the Zune/Xbox Marketplace! 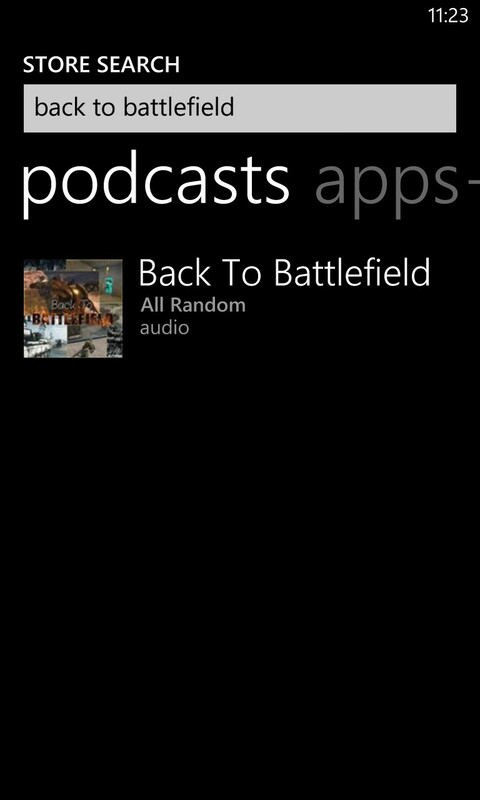 While the Zune world has been slowly dying down, and the Xbox takeover is also not at full speed yet, you should be able to find the Back To Battlefield podcast on any Windows device. It works on my Windows Phone, so it should work for you too. In this episode, RandomAlec and Infidel give all their feedback on the Xbox One reveal. Their feedback includes system specifications, rumors, confirmations, details, and more. Don't miss this podcast if you want to hear everything about the Xbox One, and only confirmed information. Moving on, RandomAlec and Infidel talk about some very good news coming out of the Battlefield 4 world. Battlefield 4 is not only confirmed for early adopters of Xbox One, but a confirmed current generation release is October 29, 2013! In this episode, RandomAlec goes into the small amount of news and rumors that have developed regarding Battlefield 4. Infidel's World dives into War Thunder, Grand Theft Auto 4, and DayZ. The next Xbox reveal takes place soon, and the latest rumors are also discussed. Oh, and Infidel goes into the wild with RandomAlec's mating call- wait, what? In this episode, RandomAlec and Infidel talk about all the leaks, rumors, and confirmed information on Battlefield 4. Infidel's world goes into the Battlefield 4 17-minute single player gameplay. RandomAlec's PC build is complete, All Random is now on both Xbox 360 and PC! Back at it again folks! This time it's a raffle giveaway. Simple, support All Random and you will win some great prizes. Read more for all the details and to donate right here. You can also head over to the PitchIn event page to donate, or you can also find the PitchInBox over at All Random Gaming on Twitch. RandomAlec's new PC build is official! After literally just receiving the first component of my new computer build, I decided it was the best time to post all about it. Don't worry, this won't be a massive post. As many of you should already know, I am building a new desktop computer after my recent nightmare with laptops from two different companies. Too many issues and too many risks trying to rely on a laptop as my single computer lately. So, I finally gave in and am purchasing a new desktop computer. In this episode, RandomAlec and Infidel talk plenty of Arma as RandomAlec prepares the fans for the coming of his new desktop computer. The final DLC for Battlefield 3 has also released, but with Infidel selling his Xbox 360 for a new desktop RandomAlec takes over the Xbox talk. This episode was quick and painless, bushy too, but the next one will be BIG. I show many of you (especially the lazy ones) how to stay connected with Twitter without actually using Twitter at all. You can use this tutorial to teach you how to receive news and updates from your favorite Twitter users without any effort. Giveaways: Skyrim winner has been chosen! The Xbox LIVE Games on Demand Skyrim Giveaway has now ended! With over 1000 entries I was surprised to see so much excitement for it, along with all the entries flooding in through Rafflecopter. With that said, I promise you this is not the end of it, I will be giving away plenty more Xbox LIVE content (and maybe other non-related things) down the road. Stay following me on Twitter if anything to stay updated. RandomAlec and Infidel are finally back after enjoying the holiday break a little too much! In this episode they dive into Battlefield 3, Medal of Honor Warfighter, the Zero Dark Thirty movie, Call of Duty, City Life, and more. Don't miss this episode as RandomAlec and Infidel welcome 2013. Not much to say about this one folks. Get excited because I'm giving away a redeem code for the full version Skyrim from the Xbox LIVE Games on Demand collection. 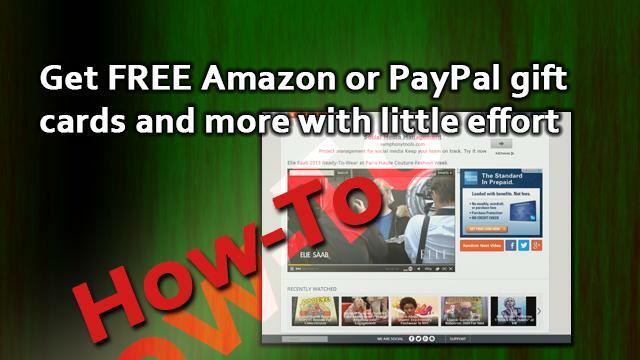 Oh, and it's absolutely free to enter and win, just take a look at the Rafflecopter widget below. Taking a quick look at a perfect case for the Nokia Lumia 920 Windows Phone device.